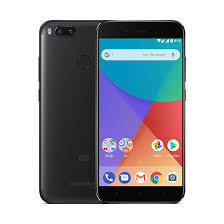 Recent reports show that the Xiaomi Mi A1 tops the phone list that emits the most radiation out of it, OnePlus 5T was the second, the research was conducted by the (Bundesamt für Strahlenschutz) German Federal Office for Radiation Protection. 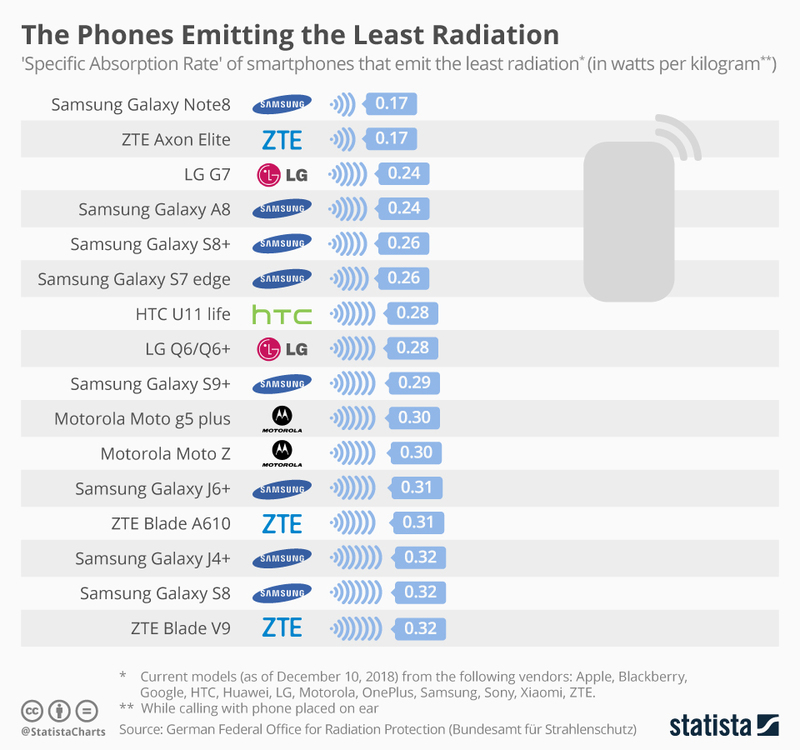 The list shows 16 smartphones that emit the highest levels of radiation, the information was gathered by Statista by looking at the data that was provided by the Bundesamt für Strahlenschutz, the list is dominated by the phones that are being sold by OnePlus or Xiaomi. Meanwhile, the Samsung Galaxy Note 8 was ranked at the lowest as it emitted the lowest radiation with a SAR (Specific Absorption Rate) rate of 0.17 watts per kg. 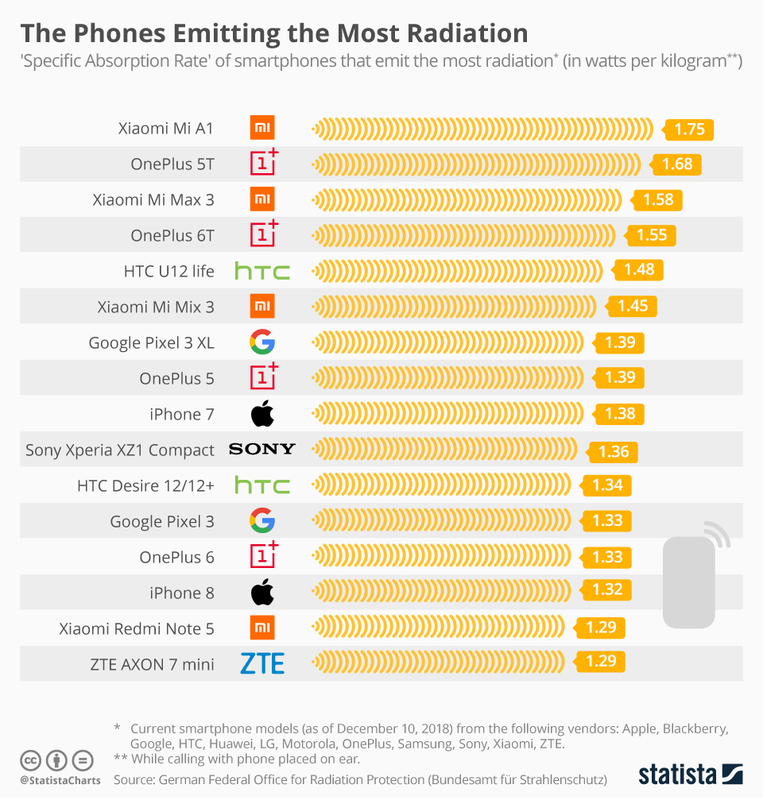 The list that is provided by Statista shows that the Xiaomi Mi A1 emits the most radiation with the SAR (Specific Absorption Rate) of 1.74 watts per kg, the OnePlus 5T was the second on the list and had a SAR (Specific Absorption Rate) of 1.68 watts per kg, and the Mi Max 3 is placed in the third place with a SAR (Specific Absorption Rate) of 1.58 watts per kg. The latest phone by OnePlus which is the OnePlus 6T is also in the top 5 list with a SAR (Specific Absorption Rate) of 1.55 watts per kg. Both OnePlus and Xiaomi were dominating the list that showed those smartphones who emitted the most radiation. The iPhone 7 was also in the top 16, it had a SAR (Specific Absorption Rate) of 1.38 watts per kg, the iPhone 7 was next to the OnePlus 5 that has a SAR (Specific Absorption Rate) of 1.39 watts per kg. The list also contained some premium expensive smartphones like Google Pixel 3 Xl, Apple iPhone 8, and the Pixel 3. There was no Samsung smartphone on the list. In a list that was provided by Statista that showed the smartphones who emit the least radiation contained a number of Samsung smartphones like the Samsung Galaxy Note 8, Galaxy A8 2018 model, Galaxy S8+, Galaxy S7 Edge, and the Samsung Galaxy S9+. The list also showed smartphones by ZTE, LG, HTC, and Moto. The following phones were also in the list: HTC U11 Life, Moto G5 Plus, ZTE Axon Elite, and LG G7 ThinQ. In a post, Martin Armstrong of Statista said that there is no guideline for a safe level in the phone radiation. But the German certification that is called the Blue Angel (‘Der Blaue Engel’) is a certification for environmental friendliness only certificates those smartphones with a SAR (Specific Absorption Rate) that is lower than 0.60 watts per kg. You can also see the complete list of phones that emit the most radiation, the list is made by the German Federal Office for Radiation Protection to see the radiation that is being emitted by the smartphones.